Teacher evaluation is a hot topic right now with many districts revamping their process. 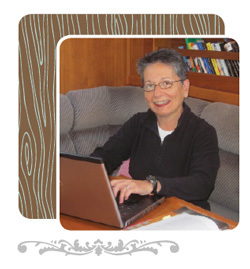 Author Angèle Sancho Passe had perfect timing on her new book, Evaluating and Supporting Early Childhood Teachers, where she covers the topic in depth. Angèle recently talked with us about her new book and where she hopes the teacher evaluation conversation leads. Learn more about evaluations and Angèle’s insights as she shares some of her advice for making the process a helpful and supportive experience. I started college in comparative literature, and switched to child psychology and family social science, then got a master’s in family education and a certificate in human resource development. I have been a teacher, program director, and central administrator in a large public school system. As a consultant for the past 14 years, my sphere of influence has expanded. I do program design and evaluation, curriculum development, training, and coaching. All these activities give me a broad view of the field. Writing books and articles is part of this professional evolution, another way to share ideas. When I was 6 years old, waiting for my parents to check out in a hotel lobby, a nice lady sat next to me, and asked me what I wanted to be when I grew up. I told her I was going to be a writer. She immediately reported that to my mother in disbelief. My mother smiled and said, "Oh, yes, she will be”. So I guess writing was always in the plan! When you started writing this book, did you have any idea that your timing would be perfect for this topic? In this age of accountability, it seemed that the topic of evaluating and supporting teachers was becoming urgent. I am concerned that the ideas we have about teacher evaluation are confusing. In early education, we have spent a lot of time thinking about assessing children with many good guidelines on how to do it well and with sensitivity. Yet we have not paid attention to how we are evaluating teachers. For children, we think of a process that helps them grow. For teachers, we often ignore problems and tolerate ineffective teaching without any support. This hurts both teachers and children, and the reputation of education in general. It definitely feels like the right time to bring up the subject. It certainly was well received at the MnAEYC-MNSACA conference in January! Tell us about Evaluating and Supporting Early Childhood Teachers. How does this resource help early childhood professionals work better with children? 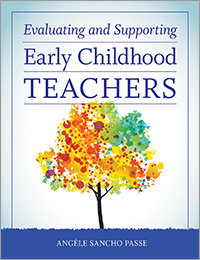 The title of the book is “Evaluating and Supporting Early Childhood Teachers.” Support is the most important part. It is necessary to prevent problems, and also to correct problems. So evaluation is part of support, it is not judgment without purpose. Evaluation is the vehicle to improve quality. I want to offer this positive proactive approach. The book is written with education leaders in mind since this is part of their professional responsibilities. But I am finding it appeals to the teachers too. They want to understand what a good evaluation and support plan looks like, and to advocate for themselves, if such a plan does not exist in their center or school. This isn’t your first book, but is there anything that still catches you by surprise in the writing and publishing process? I love the adventure of writing books. First there is the excitement of developing a proposal. Then, the even more exciting part if the proposal is accepted. It’s euphoria for a few days, until the reality of the hard work dawns. The next phase, writing the first draft on my own is kind of lonely. At the end of the first draft I feel quite lost, and I am so glad the editor is there to rescue me! At Redleaf Press I have been lucky to work with wonderful editors. They always ask the “right” questions to make me think and rethink what I really want to say. It’s hard work, but I suspect that I love the pain of writing, in the same way that marathoners must love the pain of running. The publishing process is complex. At Redleaf, it feels like a smooth process. They make it look easy when it’s not. A book starts with a bright idea in the writer’s mind but to get to the bookshelf, a lot of effort goes on beyond the words into the design, the fact checking, the detailed copyediting, the marketing, and distribution. As the author, I am proud of my bright idea that started it all but I know I couldn’t have done it on my own, and I am very grateful. I’m surprised at how varied it has been, while still in the same field of early childhood education. As an administrator, I chuckled to realize that the good skills I used as a teacher of toddlers were exactly the ones I needed to manage a big staff of adults! It was all about creating community and making chaos productive. So one advice I give to young people starting their career is to have personal goals but not assume that there is only one path to reach them. For a while, early education was only the stuff of parents or experts. It was completely ignored by the general public. Now it is often in the news. 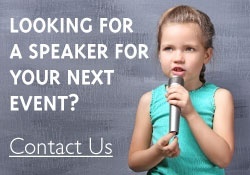 So I anticipate there will be even more opportunities for educators to find their niche. Every day starts with exercise, the newspaper, breakfast, and good coffee. However I can’t say there is a typical work day. My schedule is flexible and ever changing. When I am not writing I observe classrooms, coach teachers, present workshops, or teach online. I keep up with the research, serve on committees, and prepare materials. This work may happen in the evening, after an afternoon playing with my grandchildren. I have a home office in Minneapolis. 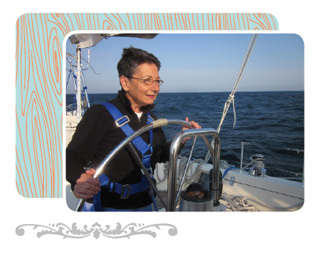 You will also find me in other parts and even on our sailboat during the summer. What are you currently working on? What trend or issue in early childhood is grabbing your attention right now? My husband and I are sailors. 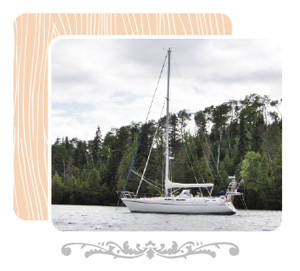 We have a sailboat named HOLA that we have sailed in all the Great Lakes, in the Atlantic, all the way to Newfoundland and back. So our summers are spent on the boat. Our home port is near Bayfield on Lake Superior. Snowshoeing is our winter sport. I love book reviews, and the current theme is eclectic, whatever seems interesting. I just finished Technology and Digital Media in the Early Years, edited by Chip Donahue, a very good resource for educators. At the same time I read Dancing Fish and Ammonites by Penelope Lively, a memoir about aging and writing. I am in the middle of a novel I bought at the airport as a light read after finishing a project out of town: As Close As Sisters, by Colleen Faulkner, and next looking forward to dig into The Language of Food, by Dan Jurafsky. I like to cook and I like words, so it looked intriguing. Learn more and see a full list of titles by Angèle Sancho Passe.